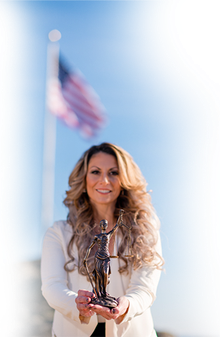 Attorney and mediator Carmina K. Hirsch (formerly Carmina K. Tessitore) utilizes a multi-faceted approach to problem solving in order to achieve the best possible outcome for her clients. 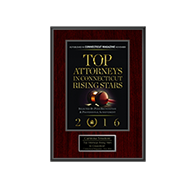 Carmina was appointed a distinguished James W. Cooper Fellow by the Connecticut Bar Foundation in 2017. 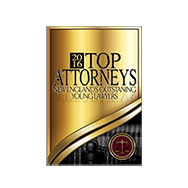 She has also been named a ’10 Best’ and ’10 Best Under 40′ for Client Satisfaction in Connecticut by the American Institute of Family Law Attorneys, honored as a Super Lawyers Connecticut Rising Star for five consecutive years (2014, 2015, 2016, 2017, 2018), recognized as a ‘Top 40 Under 40’ of Family Lawyers in the State of Connecticut by the American Society of Legal Advocates for three consecutive years 2014, 2015 & 2016, received the Avvo ‘Client’s Choice’ Award for divorce attorney 2015-2016, was honored by the Connecticut Bar Association’s Young Lawyers Section with the ‘Leadership Award’ in 2015, recognized by New England’s Top Lawyers as a New England Rising Star for 2015, recognized by Top Attorneys New England’s Outstanding Young Lawyers for Family Law in 2014, and honored by the National Association of Professional Women for Outstanding Excellence and Dedication to Her Profession and the Achievement of Women for 2013-2014. Carmina serves as Special Master in the Fairfield J.D. and Ansonia/Milford J.D. and is an Adjunct Professor at Quinnipiac University School of Law in North Haven. Carmina also contributes print and blog articles to legal and non-legal publications – her primer Divorce Mediation: Mediating Financial Disputes was published in Connecticut Lawyer magazine (get your copy via link on our homepage), and she is a featured author in A Practical Guide to Divorce in Connecticut (get your copy via link on our homepage – 1st Ed. published 2014, 2nd Ed. published 2018). 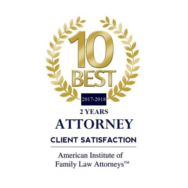 Additionally, Carmina develops curriculum for and presents at CLE and seminars on the topics of divorce, custody, alimony, child support, mediation/alternative dispute resolution, business, marketing, law practice management, and foreclosure. Carmina is also the current Executive Committee Legislative Liaison for the Connecticut Bar Association’s Women in the Law Section, serves on the Executive Committee as Treasurer of the Connecticut Bar Association’s Sports and Entertainment Law Section, is Chair of the Connecticut Bar Association’s Court Visitation Program for the Stamford J.D., and is Co-Chair for the Fairfield County Bar Association’s Law Practice Management/Solos & Small Firms Committee. 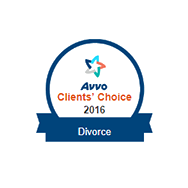 Every matter can be resolved in a way that minimizes the cost and stress of protracted litigation. 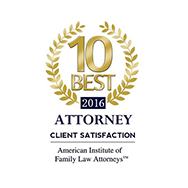 We utilize negotiation, mediation, and litigation to reach your goals efficiently and cost effectively. As her calling in life is to aid the needs of others, Carmina keeps an active role in non-profit organizations and community service associations. She has volunteered at ACT Spooner House food bank and homeless shelter in Shelton, and the Downtown Evening Soup Kitchen (D.E.S.K.) in New Haven. She has also volunteered with the New Haven Truancy Intervention Project, where she mentored and served as counsel for a minor child. Additionally, Carmina volunteers with the Women’s Business Development Council (WBDC) as a business mentor and speaker on business legal issues to aid budding entrepreneurs in creating and sustaining successful ventures, and also volunteers with Connecticut Women’s Education and Legal Fund (CWEALF) as part of their ‘Cooperating Attorney Program.’ Carmina has volunteered at the Stamford Day Laborer Wage Clinic, a project of Connecticut Legal Services, Inc., served as a volunteer attorney for the court annexed Foreclosure Volunteer Attorney Program in the judicial districts of New Haven, Fairfield, and Norwalk/Stamford, and annually serves as Judge for Connecticut Mock Trial competitions. Prior to law school, Carmina served as a certified mediator and program coordinator for Mediation Matters, a private, non-profit, alternative dispute resolution agency servicing five counties in upstate New York. Her issue areas included business to business contract disputes, consumer and merchant issues, construction claims, housing matters, small claims matters, family matters, divorce, property division, alimony, child custody, child support, juvenile truancy and probation matters, special education matters, victim-offender criminal issues, and lemon law arbitration. 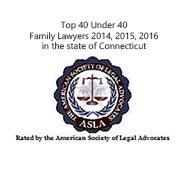 After working in the civil and criminal fields, and sitting as clerk for a family court Judge, Carmina served as a mediation specialist for the Connecticut Judicial Branch’s Foreclosure Mediation Program in Stamford. Thereafter, Carmina worked for the law firms of Hoffman & Hoffman, LLC, the Bauer Law Group, LLC, and McCabe, Weisberg, & Conway, P.C. 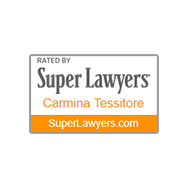 Carmina opened her own practice in 2013 and serves clients in family, divorce, litigation, and mediation matters throughout New Haven County and Fairfield County, Connecticut. 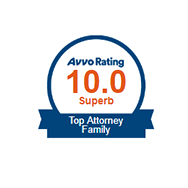 Carmina lives in Milford with her husband Etan Hirsch, a partner at Adelman, Hirsch, and Connors, LLP, Connecticut Personal Injury and Medical Malpractice Trial Lawyers. You can follow Carmina on Twitter, Facebook and Linkedln. What if You Want a Divorce But Don’t Know Where Your Spouse Is?